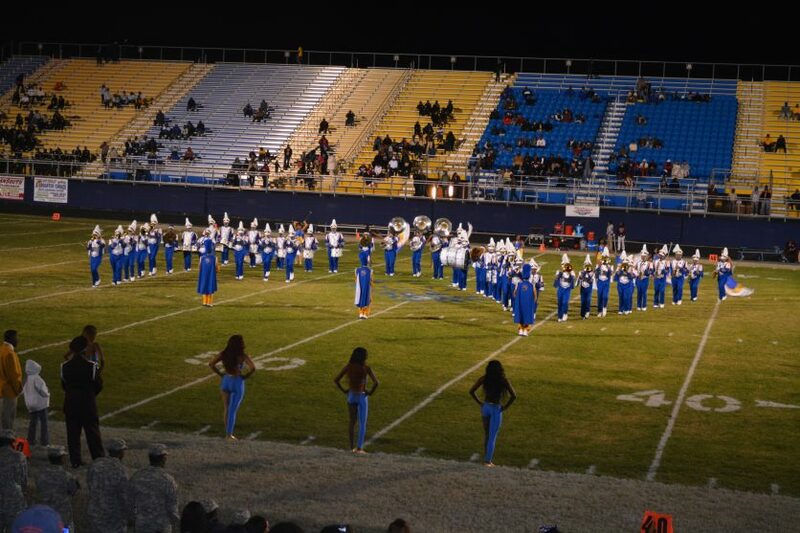 Fort Valley State University’s Blue Machine Marching Band needs your support to help drum up financial funding for the band. Our fundraising goal of $75,000 will be used to support the band and provide scholarships to increase band membership. We are asking 1,000 or more BMMB supporters to set-up monthly donations of $5, $10 or $20 to support band scholarships and new equipment. To arrange contributions using a debit or credit card, please contact the FVSU Foundation, Inc. at (478) 825-6474, indicating that you want to set-up monthly contributions to the “FVSU Alumni Band” account. Note: To cancel donations, contact the FVSU Foundation, Inc. at any time. For inquiries about the Blue Machine Marching Band fundraiser, contact Melvin Smith, fundraiser chair, (214) 789-1285, mel0915@yahoo.com.